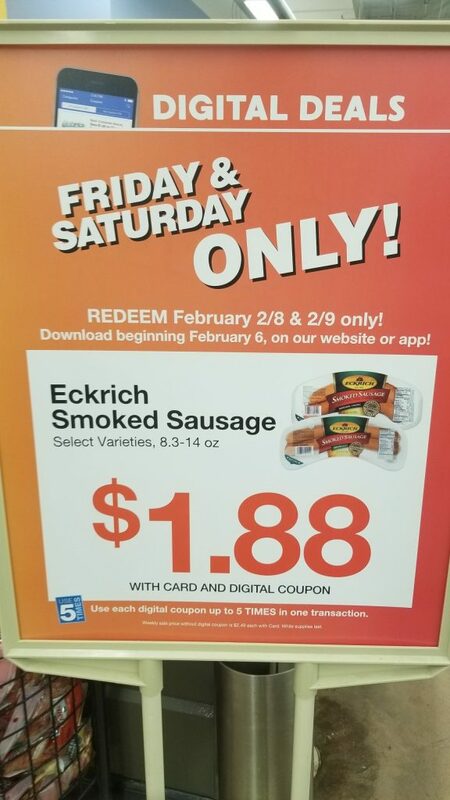 2 Day Sale Digital Coupons! The 2 day digital coupon sale starts today! Some regions do have turkey instead of the smoked sausage. So, make sure to check your ad for the deals!